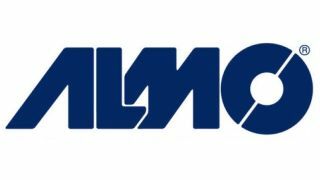 Almo Corporation is using the savings afforded from the 2017 Tax Cuts and Jobs Act to make short and long-term investments in its employees and partner community. Chaiken added that Almo Corporation has begun the transition to a new operating system that allows for greater efficiencies over the long term while enhancing the customer experience by enabling the Almo sales teams to process orders more effectively. Continuation of the Almo corporate headquarters expansion in Philadelphia, which includes a 7,000-square-foot, second-story addition to expand office capacity by 65 employees. The first floor is being reconfigured to make more room and improvements. A new Almo Global office in Ft. Lauderdale to accommodate the entire global business team, and serve as the main office for Almo Hospitality and Almo New Business groups. A new, larger Almo Professional A/V headquarter office in Baltimore to allow for expansion and growth. Huddle spaces have been added or expanded in all Almo locations to facilitate collaboration. The opening of a new 300,000-square-foot warehouse in Philadelphia to cover the Mid-Atlantic region. Recently moved the Nevada warehouse to a larger, 300,000-square-foot facility. Soon moving the Ohio warehouse to a larger 260,000-square-foot facility. The addition of wellness coaches to help with health and fitness. Standing desks available to employees to encourage movement. New internship programs for marketing, accounting, and logistics to invest in the company’s future. A management leadership program for new managers and an online learning management system for all employees.